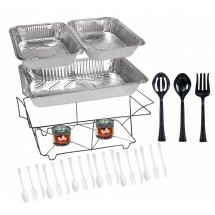 Whether you are planning an outdoor buffet or bbq; an afternoon brunch or engagement party, the TigerChef 33-Piece White Chafing Dish Food Warmer Buffet Set is the perfect chafing dish for your warm food service. 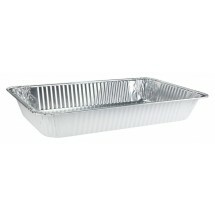 This disposable chafing dish set has all the pieces you need to serve warm, delicious food at any type of event. 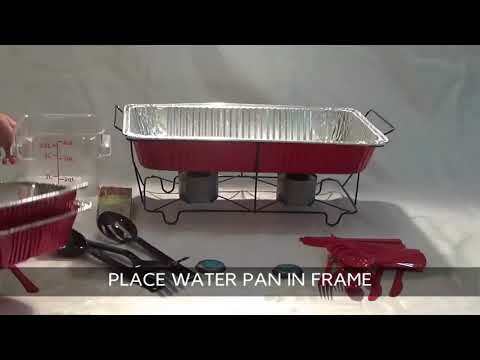 This complete chafing dish set includes a wire chafer rack, a white-coated full size foil water pan, 2 white-coated half size foil food pans, 2 chafing fuel gel cans, 3 serving utensils and a white disposable 24-piece plastic cultery set. 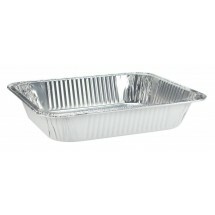 The water pan and food pans are made of durable aluminum foil that won't break, bend or sag, and can be taken directly from the oven to the chafing rack filled to the brim with your piping hot food. 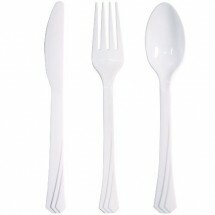 They are also freezer safe, highly transportable and disposable/recycable. This handsome set also includes chafing fuel gel that ignites immediately and burns steadily for a full two hours to help maintain consistently hot food temperatures. 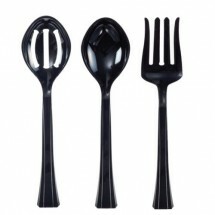 This set also includes two serving spoons and a serving fork for touch-free service. 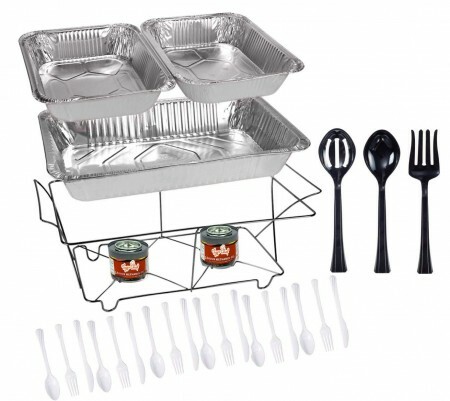 The white disposable cultery set, also included, matches the foil pans and is made of durable plastic that won't bend or break during your party.and includes knives, spoons and forks, service for 8. To use, simply set up your chafing dish with all its componemts, light the chafing fuel, add hot food and voila, your guests can get on line and enjoy your self-service buffet meal. Stock up on TigerChef 33-Piece White Chafing Dish Food Warmer Buffet Sets for any type of home or catered event, or select another color from our colorful chafing dish collection, including silver, gold, black, red, blue, caribbean or black to match your favorite party decor. (2) Chafing fuel cans 7 oz.